This is a 4x4 card. 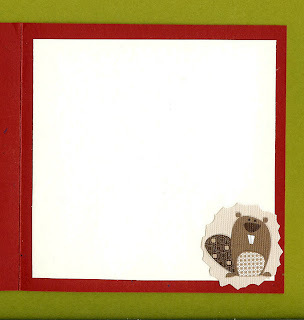 I cut the beaver from Winter Frolic at 2-1/2", typed the sentiment onto the paper, and added ribbon. The paper is DCWV "Green Stack." Really cute patterns. The beaver on the inside is cut from the paper. Something simple! Very cute card! Thanks for sharing. I have that cartridge but I haven't used this cut yet. Great idea :). I'm a follower now. This is adorable. Thanks for playing along with us at FCCB. I just wanted to let you know that I gave you a stylish blog award that I received today. The details are in a post on my blog. Have a great day! What a super card! 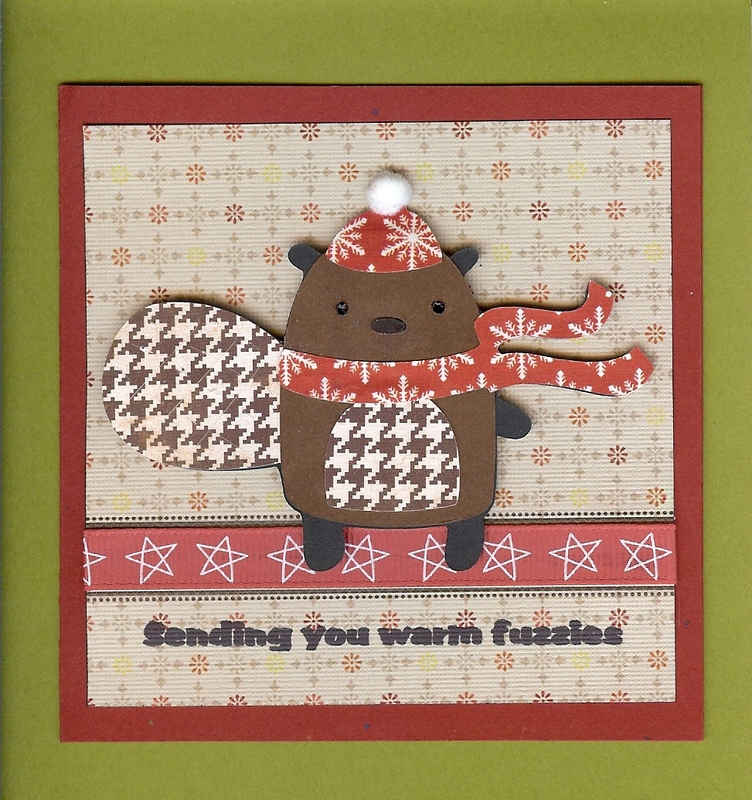 That beaver is so cute - and the little pompom on the hat is such a fantastic touch! Very cute. Thanks for playing with us at FCCB. OMGoodness! I love the lil beaver!!! Too cute! Your little beaver card is adorable.